I am writing this update in the final days of the year 2017. 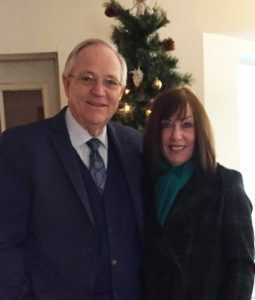 Gayle and I pray that each of you will have a Heaven-blessed Christmas and a wonderful new year! God truly did some amazing things in 2017 through the ministry of Barnabas1040. By God’s grace we were able to add several more national church planters in the countries we already work in, as well as expand into some new countries. 2015: We were supporting a handful of church planters in Cambodia and Laos. dedicate my full attention to Barnabas1040. countries we were already working in. As I write this end of the year letter, we are investing thousands of dollars each month in supporting dozens of national church planters in 11 Asian countries, and it is all done by faith! Every day somewhere within the 10/40 Window, there are buddhists, atheists, animists and muslims who are finding Christ. In addition to our ministry of locating, vetting and supporting national church planters, we also have the privilege of living in China in what I believe to be one of the most opportune times of history. We are seeing amazing things happen as so many young adults are genuinely seeking the peace that can only be found in a relationship with their Creator and Savior. I am not at liberty to say more about this in print, but please know that we are genuinely grateful to be living here “for such a time as this”. As we go into 2018 we are planning to add another dimension to the Barnabas1040 ministry. I sense a need to come alongside faithful missionaries in this difficult part of the world and provide resources for teaching, training and challenging nationals in the biblical mandate of reaching their own people for Christ. In some cases, centuries of foreign missions has had the unintended consequence of producing many converts who believe that it is only the foreigners who are able do the work of soul winning and church planting. I am planning on conducting “Soul Winning/Church Planting” conferences in some of the more unreached countries of Asia in the hopes that by using national pastors to teach and preach, it will encourage other young men that they can also be spiritual leaders. Most conferences in this part of the world only use foreign speakers. I think it would inspire more local people to step out by faith if they hear the stories of God’s blessings upon their own people. Please pray with me for wisdom on this new endeavor. I am convinced that if we hope to penetrate the satanic strongholds of the 10/40 Window, we must empower locals to reach their own people. I have already scheduled one conference in a restricted access nation, and hope to sponsor at least one more in 2018. In this conference we will feature preaching and teaching by local missionaries and local pastors from their own country. If there are any likeminded IFB missionaries reading this update that would be interested in hosting a conference like this in your country, please contact me. In conclusion, I want to say thank you to those who pray for and financially support my wife and I personally, or the Barnabas1040 ministry. We could not be living and serving in Asia without you. We know that it is entirely by His grace that He has raised up the churches and individuals that partner with us. Not a day goes by that we do not thank God for you! i heard about you and your ministry through a great man of god Dr R.L Hymers jr .and Dr Hymers has given your contact email and website.he was a wonderfull friend and leader to us,since 2016.he send his team india last year in july2017.his team spoke in our conferences, we had a wonderfull time strengthened with his team. any time of this year, we are conducting pastors conference OR soul winning/church planting conferences and outreach revival meetings so by this time we are welcoming you and your family to preach and teach the word of god in the midst of indian people and pastors. we would like to invite you as one of main speaker of any one of the above meetings.we would like to hear your soundfull message in india. i do believe that you have lots of spiritual truths that you could share and impart to the body of christ here in our churches. I also believe that your ministry today is one of the instruments of God,who can bring healing and spiritual revival to the hearts of our people here and that our people also are hungry and thirsty of His word and in His presence. Why Do I Need A Middleman?